Getting a new dog is always a highly emotional event. You’re happy to have a new puppy but there’s still a big ragged hole in your heart for your former canine companion. When I got Dixie on August 7, 2016, I had been dogless for about 12 heartbreaking days. During that difficult time without a cocker spaniel at my side, I couldn’t sleep, wrecked my car in a ditch and spent every free moment looking for a new dog on the internet. I even drove 10 hours to Sasser, Georgia, to meet English cocker spaniels, only to conclude they are not my tribe. 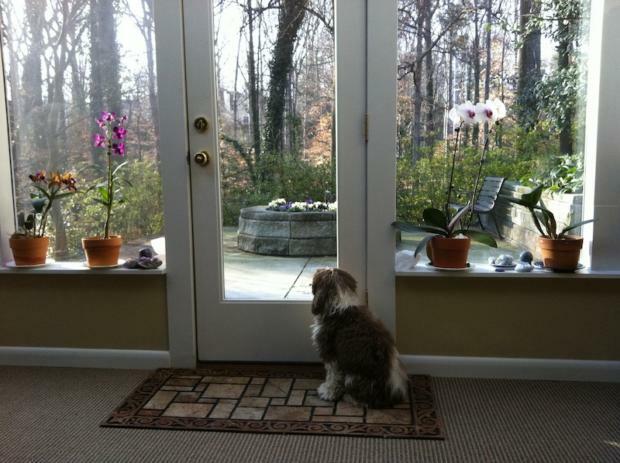 My previous dog Belle had been my constant companion for 8 years. Belle took one hour walks with me until her arthritis got so bad I began pushing her around in a baby carriage. She slept in the bed next to me and most importantly worked with me throughout all my healing sessions. 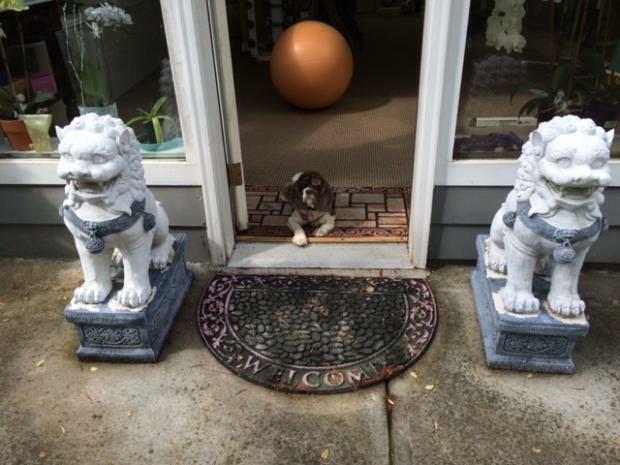 Having been in not just one but two pet rescues, Belle had a naturally compassionate heart. I didn’t have to explain to her what I was doing, she just immediately knew how to comfort people. When I first got Belle at the Atlanta Pet Rescue on July 12, 2008, I wasn’t really sure what to expect. Belle and I at the Atlanta Pet Rescue. She was overweight, had severe ear infections and was deeply depressed and anxious. My original plan was for Belle to stay upstairs when I went downstairs to work with clients in person in my ground floor studio. But Belle had such severe separation anxiety I never even had a choice. If I ever tried to keep her upstairs when I went to work, the crying would have broken your heart just to hear it for 30 seconds. So Belle became part of my team. She greeted my clients, would sit on the floor next to me while I worked and could bring a smile to even the saddest, most forlorn person. All you had to do was watch her fluffy self waddling across my studio or reach down to touch her soft fur to sense her natural kindness. Belle herself had been the recipient of more natural healing than most people will ever experience in their entire lifetime. When I got her from the pet rescue, the veterinarian recommended she have an ear operation. 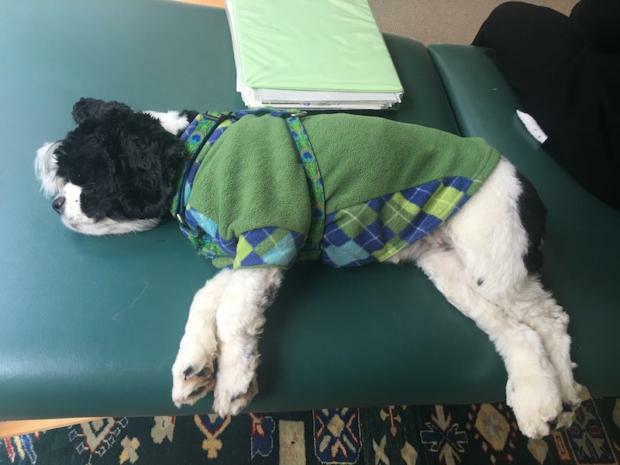 I have nothing against surgery when necessary but her separation anxiety was so severe I felt I had no choice but to turn to natural remedies. I cleaned her ears twice a day, gave her eye drops, vitamins, fish oil and flower essences, took her for acupuncture and craniosacral treatments, one-on-one dog training sessions and loved her with my whole heart. I never had the privilege of having human babies but all of a sudden I was blessed with a little girl dog. We became about as close as human and dog could probably ever be. When she walked off the four-foot high wall in my back garden one Monday afternoon, I had to admit that she had become totally blind. My brother, an ophthalmologist, concluded that the brain tumor was pressing on her eye and encouraged me to end her suffering. Even though I adore Dixie, there’s not a day that goes by that I don’t miss little Belle. But I also believe she is with me in spirit as in the end neither of us could bear to be without each other. I was as bereft without Belle as she first was whenever she could not be with me. I frequently sense her sweet spirit when I am walking Dixie in the park near my home or at night in the silence when I’m meditating. 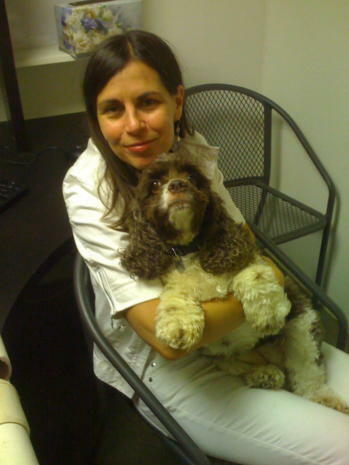 My dog trainer Meredith Minkin had encouraged me to turn to a breeder when I wanted another cocker spaniel. Meredith knew what I had been through with little Belle. 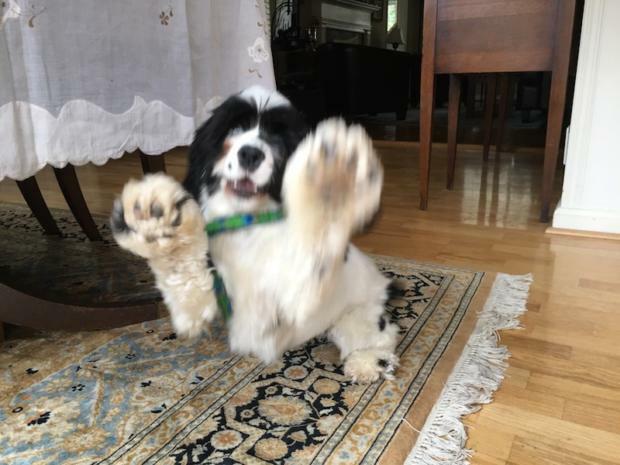 I was not averse to getting another rescue girl and going through all the natural healing and training again, but Meredith said that cocker spaniels have become so inbred in this country that the best course would be to get a purebred. 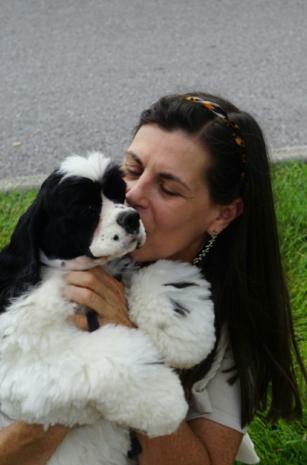 In fact, Meredith said there were only two breeders she would ever trust, one of them being Tonya Higdon of Clover Creek Cocker Spaniel in Versailles, Kentucky. When I called Tonya to talk about the loss of my Belle, Tonya told me that just the day before they had decided to give up one of their prize-winning dogs for adoption. They wanted to breed more dogs and needed to make room in their kennel. She asked me multiple questions about my personal history with Belle, and I had to send an email with photos and my story, but once Tonya took one look at pictures of Belle and me she knew I would be the perfect dog mommy for Dixie. Dixie, whose real name is Little Miss Can’t Get Enough, has the best possible pedigree. 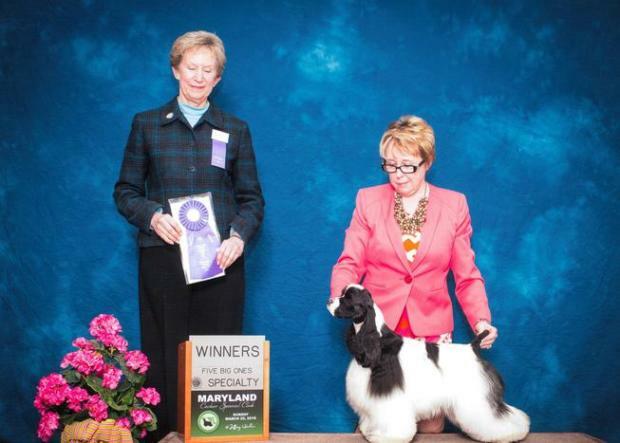 Her father won his class at the Westminster Dog Show and her mother was voted Number 1 cocker spaniel in the country. But since she has become my puppy, Dixie gets to be a regular dog, walking in the park every day, enjoying lots of fresh air and sunshine and now taking on a new career as a healer dog. Unlike Belle, I don’t let Dixie work with every client. Dixie doesn’t like being away from me but she won’t cry her heart out if she has to wait upstairs while I work in person with a client who I feel would not truly benefit from her assistance. But all of a sudden I have been working with a lot of young children and teenagers – a 7-year-old boy who has threatened to kill himself, a 17-year-old autistic girl who was adopted from China, teenagers who suffer from momo and many others. The children and teenagers really need little Dixie and she comforts them in a way that I never could. 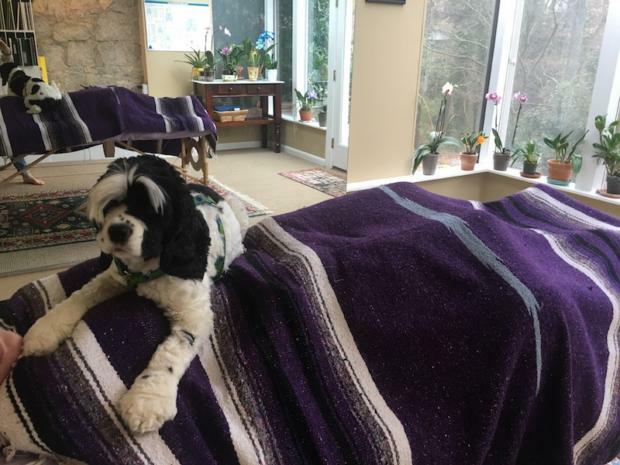 Dixie loves to get on the table when I’m practicing Reiki, kinesiology and all other forms of energy healing. Although at first she wanted to play with the puppy in the mirror or eat my client’s shoes she now knows what to do and how to do it without me explaining anything. She is a wild girl at heart but just observing me she has become another invaluable part of my healing work. 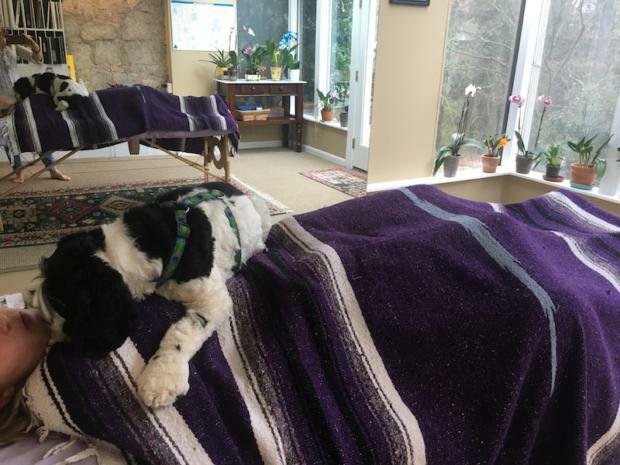 Of course, when I do a medical intuitive reading or a distant healing upstairs in my second-floor healing room, Dixie is always by my side sitting on the couch underneath big picture windows as I talk on the phone, Skype or Zoom video conference. When I record the Natural Healing Show for UK Health Radio I hope and pray she will be quiet but occasionally she feels the need to bring me her tennis ball to throw or ask to sit in my lap while the interview continues. Dixie and I took a few behave yourself classes from Meredith Minkin but Dixie was more naturally self-assured than Belle ever was and getting her to walk on a leash has always been easy. I have often thought of going back for more obedience training or to go through the steps for Dixie to become an official emotional support dog, but she is so smart she has that down pat without me or anybody having to explain to her. I am so blessed to have had the unconditional love of not just one but two beautiful cocker spaniels. Although I never had human babies, two of the sweetest little girl dogs have deeply blessed my life. They are so similar in personality that often my clients get mixed up and call the wild young girl Dixie the name of the old arthritic blind girl Belle. What is healing? Healing happens when you allow a dog to open your heart. Beautiful story, Catherine. I can truly relate as I went through a similar loss about the same time. The void from the loss is so great that it must be filled, yet never a replacement for the precious companion that is gone. Clyde is forever in my heart and Lucky is in my heart offering healing on every level. A rescue as was Clyde and in need of lots of love and care. Separation anxiety is there, yet a little less each day. This is really inspirational, Catherine! George and I will keep your experience in mind when we get our next dog—after the loss of our dear Rosie. This is very inspiring, Catherine! George and I will keep it in mind when we get our next dog–with always a special place in our hearts for our dear Rosie.